It is time for our February Challenge at Uniko Studio. You can use any stamps for this challenge although there extra prizes for those who use Uniko Stamps! You can enter as many times as you want and have until March 6th 8am GMT to join in the fun. Here is my Birthday card using Bright Butterflies and Simply Said Birthdays. For this challenge we have Tracey joining us as Guest Designer. 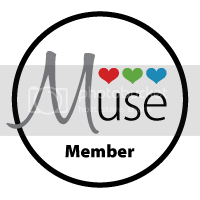 I have for a very long time admired Tracey's creativity and her blog In My Creative Opinion is full of inspiring cards-I urge you to visit it and you will come away eager to get creating! Have a look here and you will see what Tracey and our DT have created for you inspire you. You will also see all the goodies that we have on offer for you. Sure hope you join in the fun! Beautiful Sandie! Love that linen BG! Gorgeous pops of butterflies Sandie teamed with a super sentiment. Love how one of the butterflies is off the edge. Super classy. Another beautiful CAS design! Classy and elegant. You make it look so easy. I often have your cards in mind when trying to make it CAS, but they mostly end up in the bin. I'm more of an 'in between' crafter, not very CAS, not too overloaded..
Lovely design, Sandie - the mixed fonts of the sentiment work really well together! This is so pretty, so feminine. Love the pretty butterflies and gorgeous sentiment. Great work. Very very pretty Sandie! Great colors, and I LOVE that subtle textured background! 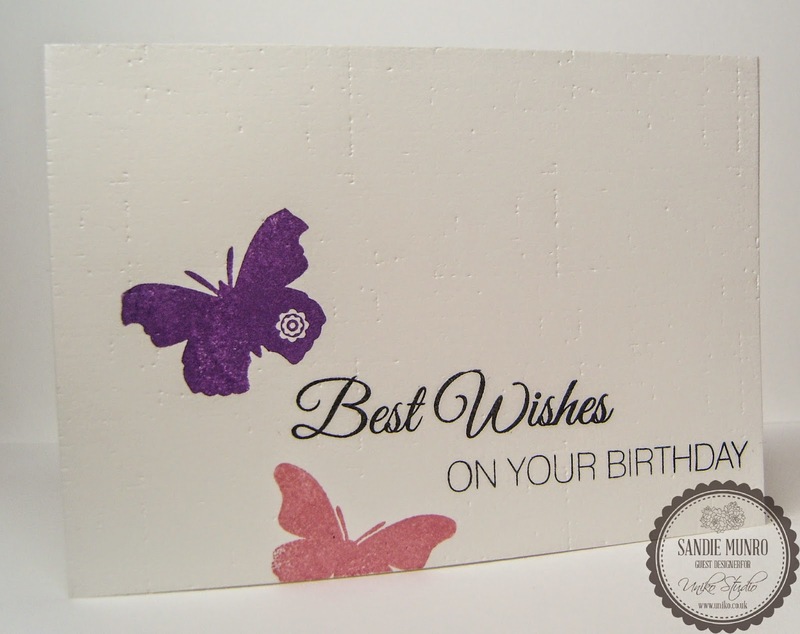 Such pretty butterflies - your card is so elegant! Happy Birthday Less is More! Uniko Studio Feb Release Sneak Peeks!